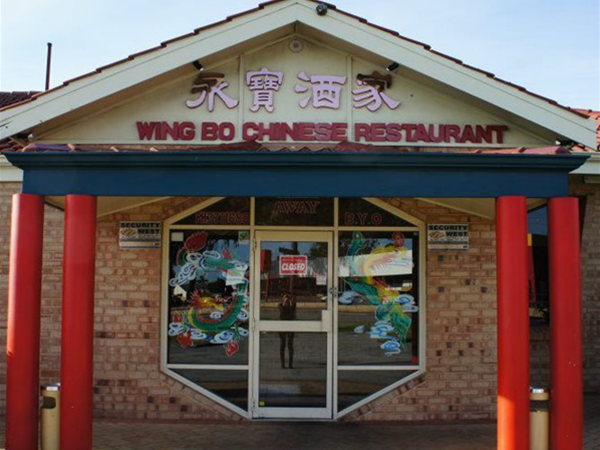 Wing Bo is a Chinese Restaurant located in Maylands. 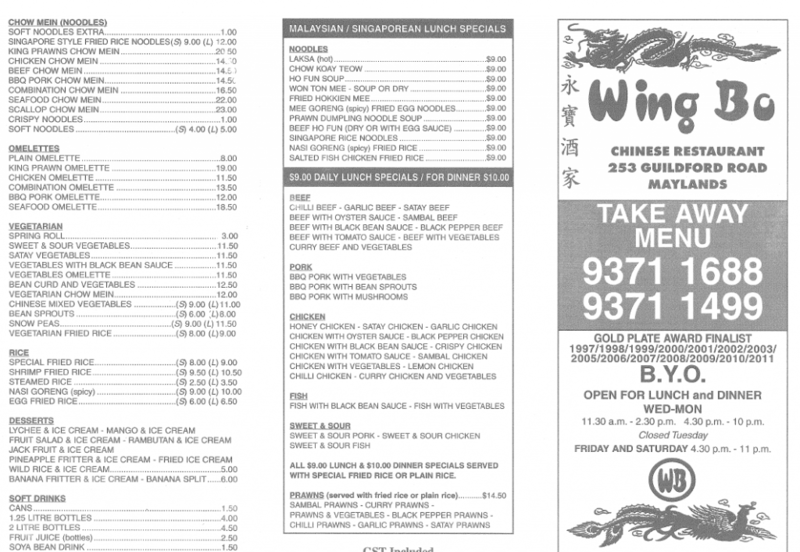 It has won over a dozen Gold Plate awards, has a continuos level of trade and cooks award winning Chinese cuisine. One of their current chefs was the Head Chef at the popular Emperor’s Palace in Perth on The Esplanade which was closed after a $5M payout by the State Government to construct Elizabeth Quay. The Emperor’s Palace was a popular Chinese restaurant to stockbrokers, lawyers and bankers particularity due to its highly regarded menu. Wing Bo has amongst other dishes it’s ‘Birds Nest’, ‘Lemon Chicken’ and ‘Jelly Cake’ as most popular.